September 21, 2018 September 23, 2018 - by Kaitlyn Franz - 4 Comments. 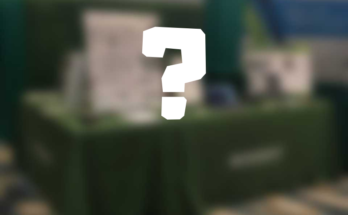 A while back, we announced that we were in short supply of the Original Analog Discovery and that once we were out, the Analog Discovery Original would be retired. It is now time to retire the Original Analog Discovery, and introduce exciting new support for the Analog Discovery 2. 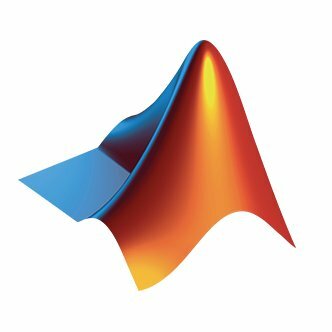 I’m excited to announce that due to the continuing feedback from our community, the Analog Discovery 2 now has MATLAB support. 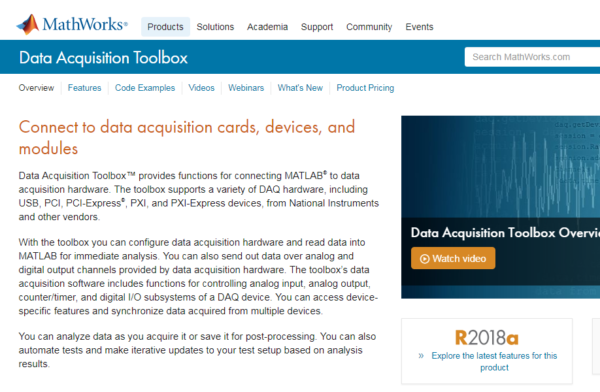 MATLAB provides libraries for data acquisition hardware in their Data Acquisition Toolbox in order to do data capture, plotting and data analysis with MATLAB. 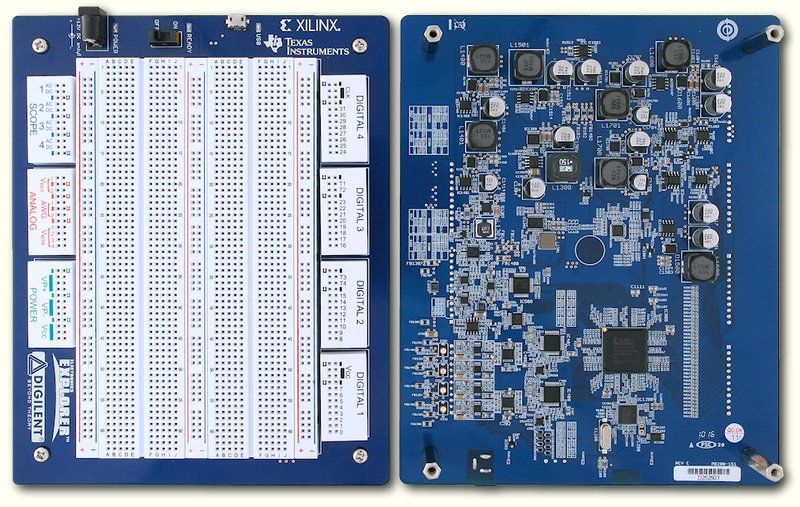 With the release of MATLAB 2018b, the Analog Discovery 2 is now included as one of the many hardware devices supported by MATLAB, and also includes the Original Analog Discovery. Information about the support and examples using the libraries can be found on the MATLAB support page. For those with existing Original Analog Discovery material or projects, the function calls and libraries remain unchanged in order to create a smooth transition process. To check out the support visit the Analog Discovery Hardware Support Page. 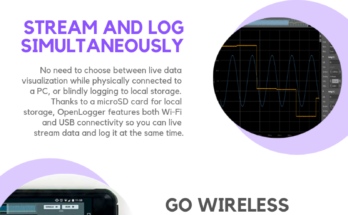 Next Article Go Wireless with WaveForms Live! Awesome notice! Analog Discovery 2 with Matlab DAQ Toolbox support! Because of the need to share the same workspace environment, without other complex ways to change the file properties from within WaveForms software. Kaitlyn, please, Can you tell me about the existence of Add-On for R2018a Matlab Users? Waiting for your soon, genuine and kindly answer! I have great news. The Analog Discovery 2 hardware support package was just updated to include R2018a. You’ll find the updated support package on the Analog Discovery 2 Hardware Support Page. Does this require an active (non-30-day trial) license or other other special toolbox? I downloaded the 30-day trial of Matlab/Simulink and then executed the ‘digilentanalogdiscovery.mlpkginstall’ script from within matlab, but it won’t download/install the actual bsp.